FBN’s Lauren Simonetti on the leadership change at United Technologies. United Technologies Corp (NYSE:UTX) said Chief Executive Louis Chenevert would retire immediately and named Chief Financial Officer Gregory Hayes as his successor. The company, maker of Pratt & Whitney jet engines and Otis elevators, did not give a reason for the departure and could not be immediately reached for additional comment. Chenevert also stepped down as chairman. Edward Kangas, lead independent director, will take that post. "This has come out of the blue, and as far as we know was not planned," RBC Capital Markets analyst Robert Stallard wrote in a note. Hayes, currently senior vice-president, has also been appointed president and director. 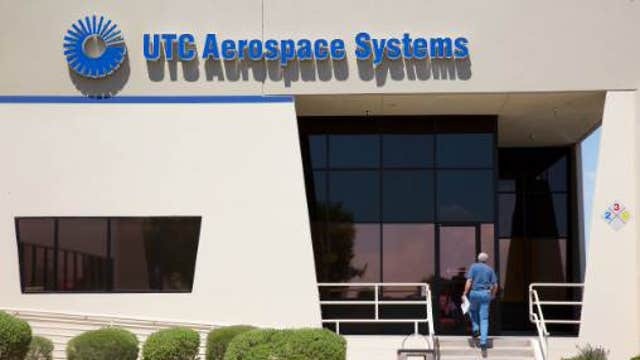 Shares of United Technologies were down 1 percent at $109.19 in premarket trading on Monday. Chenevert, who served as United Technologies&apos; CEO for more than six years, joined the company in 1993 from General Motors . United Technologies, which also makes Black Hawk military helicopters, has reported a better-than-expected profit in all three quarters this year, but its profit growth forecast for next year fell short of analysts&apos; expectations. "Chenevert had traditionally projected a more optimistic outlook than Hayes, and so a more restrained view on the outlook could be an immediate impact of this CEO change," Stallard said. United Technologies reaffirmed its 2014 earnings forecast of $6.75-$6.85 per share on sales of about $65 billion. Analysts on average expect earnings of $6.88 per share on revenue $65.26 billion, according to Thomson Reuters I/B/E/S.